It was, of course, one of the great speeches of human history, one in which he acknowledged the horrors of war but offered a roadmap to recovery. With malice toward none; with charity for all, with firmness in the right, as God givesus to see the right, let us strive on to finish the work we are in; to bind up the nation;s wounds; to care for him who shall have borne the battle, and for his widow, and his orphan—to do all which may achieve and cherish a just and lasting peace, among ourselves, and with all others. Lincoln was able to utter those words on that day thanks largely to two men who might be called “grandsons of Connecticut.” Ulysses S. Grant and William T. Sherman, who headed the largest Union armies in the field on March 4, 1865, were both Ohio-born. But each was the descendant of a famous old Connecticut family. Grant was the grandson of Noah Grant of Tolland, Connecticut, himself the descendant of Matthew Grant, one of the first settlers in the state. Matthew Grant is particularly important in New England history. As town clerk of Windsor, Connecticut, in the mid-17th century, he kept meticulous town records as well as a personal diary that gives us one of the best and most complete records of life in very early European America. Sherman’s Connecticut connection was even closer. His father and mother were Connecticut-born, as was the general’s oldest brother, all coming from a very long line of New Englanders. The immigrant Sherman came to Massachusetts in the 1630’s. 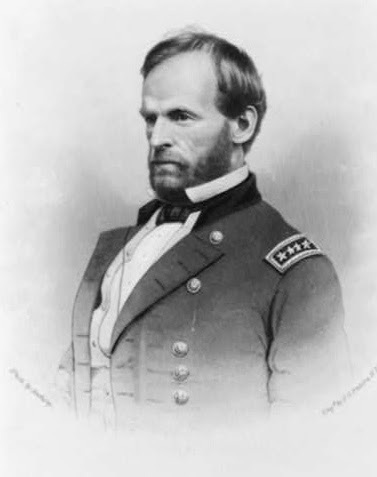 General Sherman’s more immediate ancestors arrived in Connecticut a century later. Another grandson of Connecticut was less revered by the closing weeks of the war. George B. McClellan great grandfather was General Samuel McClellan of Woodstock, Connecticut, one of New England’s Revolutionary War heroes. 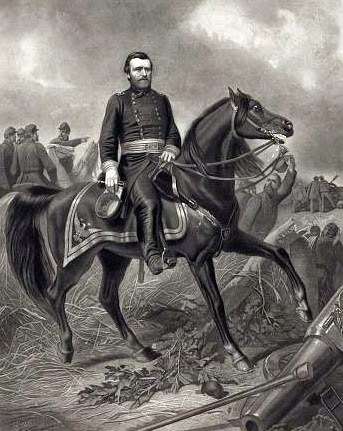 “General Sam,” of whom George McClellan bragged, was born in Massachusetts but lived out his long life in Connecticut. His home still stands in South Woodstock. 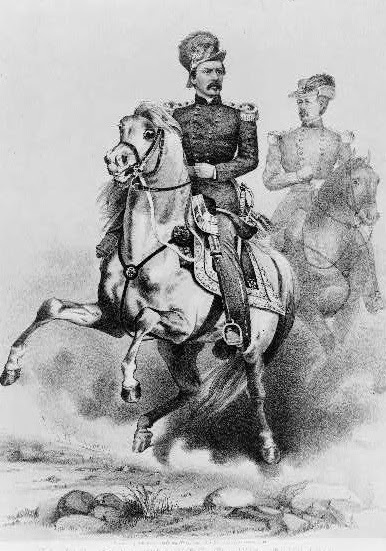 George McClellan is not remembered with the same reverence in New England.